Bolstered by mobile-only internet users, India is now the fastest growing smartphone market in Asia Pacific. Retailers in India sold 23.3 million smartphone units in Q3 2014, an 82 per cent year-on-year growth, according to IDC India. Feature phones may be India’s most popular mobile device group but smartphones are increasing in numbers. In the last quarter, smartphones were 32 per cent of all mobiles sold. This is a staggering figure considering that in Q3 2013, smartphones were only 19 per cent of the market. Mobile devices like smartphones and feature phones are the first screen for a majority of Indian internet users – some 59 per cent, to be precise. This figure can be attributed to continual price drops in the smartphone sector, combined with increasing network coverage and cheaper data rates, meaning that more people than ever can afford to join India’s 300 million strong internet audience. Which is exactly what they’re doing. In December the Indian internet audience will reach 300 million users. Smartphones are seeing a popularity increase because of their suitability for mobile entertainment; in rural India, entertainment is the top reason for mobile device use, shortly followed by social networks. Smartphones offer larger screen sizes and higher processing power, allowing users to stream television feeds, play games and view online videos at higher quality rates than on feature phones. It’s no surprise that, according to Kiran Kumar, Research Manager at Client Devices IDC India, phones with screens sized between 4.5 to 5.5 inchesare currently the most popular in the Indian market. The growing popularity of smartphones within India is great news for mobile advertisers, like dedicated mobile video network AdSpruce. It highlights a global trend in the uptake of mobile devices, which offer a more personal engaging browsing experience across the web. On smartphones, video advertising campaigns – proven to have over four times the click-through rate of static display – can be served with increased interactivity. Smartphones can handle higher data amounts and run videos in the browser application, enabling full tracking and impact. Though feature phones remain the most popular handset type in India and will be the majority of the market for some time, their sales are in decline. Year on year, they’ve seen a nine per cent drop in sales, despite the overall mobile market growing. This trend is set to continue. Karan Thakkar, Senior Market Analyst at IDC India, expects the roll-out of India’s 4G network next year to create further smartphone and phablet demand in 2015. What do you think of this monumental increase in sales? Are you preparing for the increase in your smartphone audience or are you focusing your efforts towards feature phones? Visit AdSpruce.com to see how we can help you advertise on smart- and feature phones. 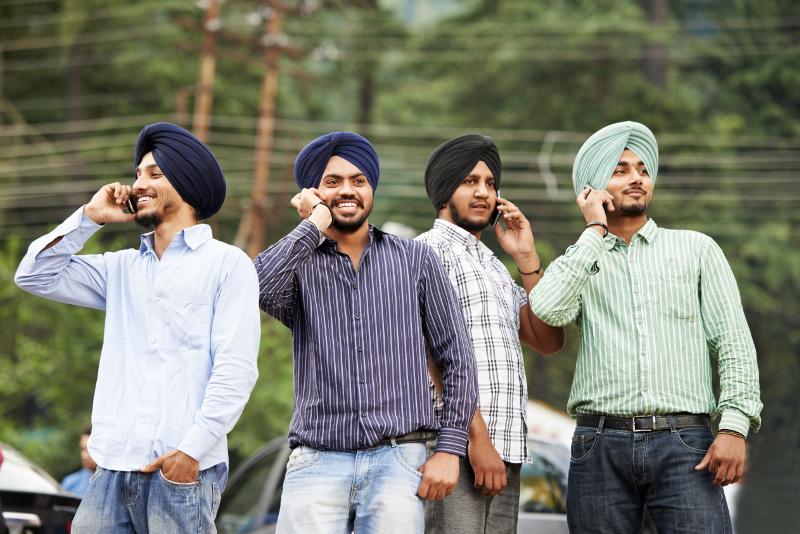 Have something to say on India’s new 23.3 million smartphone users? Contact us by commenting below or through Google+, Facebook, and Twitter.